We had another fantastic camping weekend. Memorial Day is always fun at the campground - this weekend was no exception. Super easy to make and fun to cook. 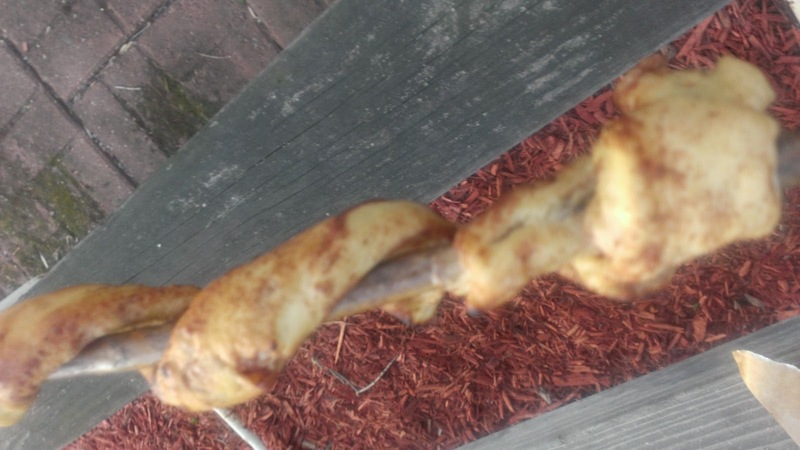 Take the cinnamon roll and twist it around a stick. I used 3 toothpicks to hold it in place. One toothpick for the top - one for the middle and one for the end. 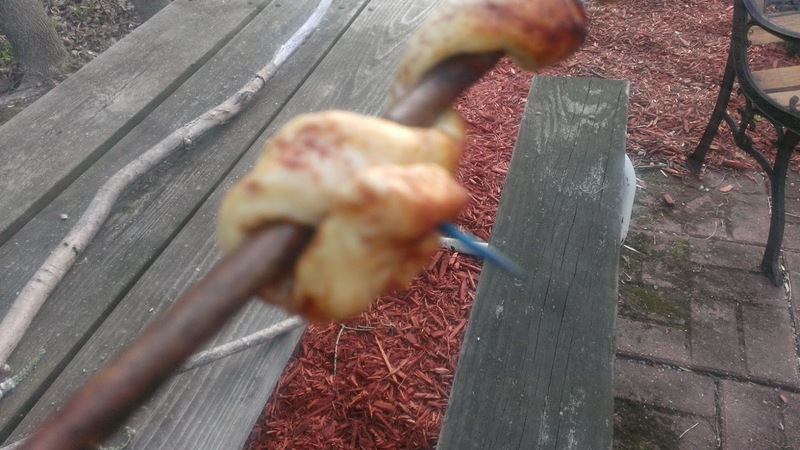 Once roll is secure to your stick - hold over the campfire and slowly twist the stick - allowing the cinnamon roll to cook evenly. It will take a while for the roll to cook without burning. Once the roll is cooked - squeeze the frosting on the roll. Remove the toothpicks then slide the roll off your stick. The kids LOVED them!!! Perfect dessert after a full day of swimming. I have to try this one for sure. It sounds AMAZING and my kids are going to LOVE it. Glad your camping trip was good. These sound amazing and I will have to try it/. What a good tip for camping out! This sounds like something the kids would have fun making! How cool is that? I would have never thought to do that, but you can bet we'll be trying them! Yummy! I would never have thought to bring cinnamon rolls camping! We are going to be cooking out this weekend and I think I will surprise my kids with this! They will absolutely LOVE this! That looks amazing! I will have to try this one the next time we go camping! I wonder why I've never thought about doing this! 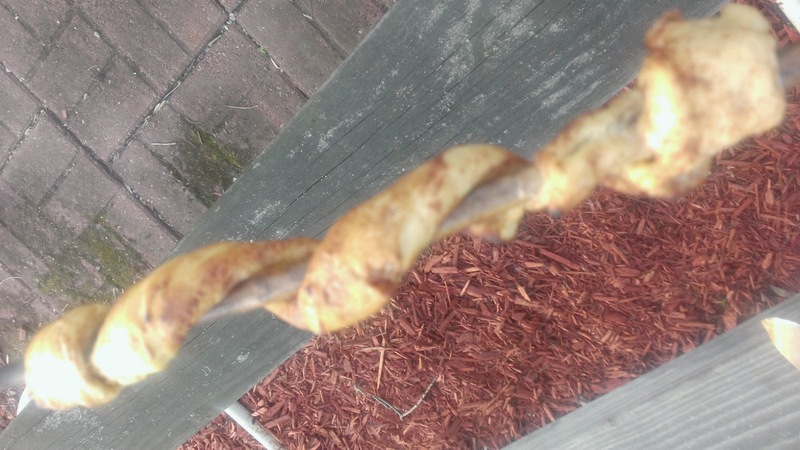 Next time I'm near a camp fire I'm breaking out the cinnamon twists. I never thought to do this! Oh, summer is going to be better than ever this year. This is such a cool concept. We're to go camping in the Fall. I'm a little nervous since it's my first time, but I'll keep this in mind. This is such a neat idea and something I'll have to remember when we have a campfire this summer. OMG! Those look so delicious!! My kids would love this one. Thanks! This is such a great camping idea! We might have to try it over our firepit out back! What a fun idea! I'm going to try this next time we go camping! Genius! Seriously i love this idea! What a fun treat for the kids! It sounds yummy and I'm sure they would love making them! This looks like a really fun camping recipe! Much better than the usual hot dogs and s'mores. yum! So much more my style than hot dogs. Oh my goodness. We are making this happen this weekend. YUM! What a great idea, I so want to try this when we go camping in a few months! We are going camping as a family for the first time next month - I will have to write this one down as something to try on our adventure! What a great idea! I am not a Cinnamon person but my kids and husband would LOVE this! Thank you for the great idea! What a great idea! We will be doing this during our next camping trip! This is perfect for Summer guests. We do lots of BBQs. So this will be interesting to make!